Hello there.... I'm a little late in getting back here, but here I am as promised in my last post with my top five scrapbooking tips. 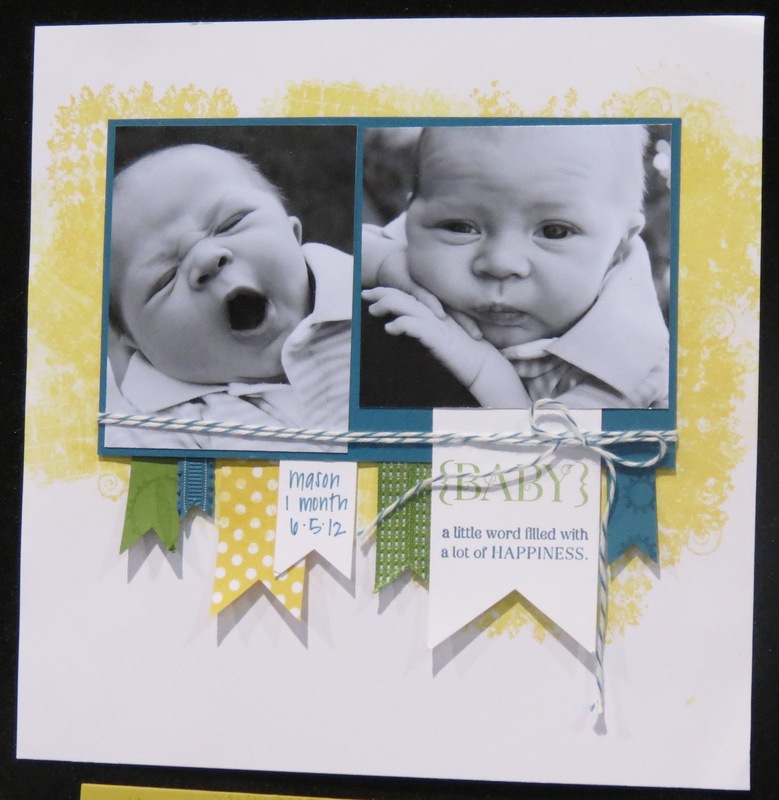 This page here is actually a sample from the display board at the Stampin' Up Regional event in Providence, Rhode Island this past August. I loved the fact that this page has so much visual interest, but it is really simple and still focuses on those adorable photos!! I think the little patterned paper and banner ribbons under the photo are also an ingenious idea for not only focus, but also using up your scraps! A double win, right? 1. Your handwriting really isn't that bad. I think this is the number one reason I get for why people don't journal and it always make me so sad. Your handwriting it such an important element on a scrapbook page. It's part of YOUR story regardless of what the page is about. I still have a greeting card signed by my Great Grandfather -- was his writing neat? Absolutely not. But I treasure that lasting memento of him. 2. It's really about the photos -- start with them. With all the amazing products available in scrapbook stores (and from me ;), it's so easy to get caught up in using fancy, frilly products, but I think it is so important to keep in mind why we have this hobby. The whole point of scrapbooking is to showcase your photos so it's not always necessary to glam them up with all these extras when you are really looking to tell people a story about what is in the photos. Don't get me wrong -- I'm totally on board for expressing your creativity and maybe even going a little overboard once in a while, but I think it's important to bring yourself back to your main reason for scrapbooking frequently. It's all about the photos. 3. Don't forget -- you're a part of the story, too. This is a big one -- and one many of us don't remember to take into consideration because we are always behind the camera. For me, because I don't have children -- I'm sort of forced to scrapbook about myself a lot, but when you are creating scrapbooks for your children or grandchildren, it is so easy to forget to include photos of yourself. Remember, your family loves you and they don't want you to "crop" yourself out of the picture! 4. This is FUN - don't make it a chore. I am guilty of this myself. I used to get so caught up in "Ok, what holiday do I need to scrap next," or "Dang, I can't remember the exact date this photo was taken." Honestly, the actual date of your photo rarely matters -- remember it's about the story. And when I first started scrapbooking I was totally all about scrapping "in order," but I've found I'm so much more creative -- and I enjoy the process so much more - if I just scrap what "speaks" to me. I totally used to get to an event or year where the photos just weren't appealing or interesting to me and I'd stop scrapbooking for months at a time. One book that was monumental in my new focus when I started this change was Stacy Julian's Photo Freedom book. I was going to say it was life-changing -- but that may be a bit dramatic, but it certainly was scrapbook-changing. 5. Never, ever compare yourself to others. Again, with so much juciy inspiration out in blog land, Pinterest, Facebook etc. it is so easy to feel inadequate. I do that all the time -- I "inspire" myself right out of even sitting down to scrapbook because I have scrapbook-envy. I go back again to this is about YOU and your family. It doesn't matter what you do in your scrapbooks, your family is going to treasure the time you took, the stories you told and the love you infused into every page. Don't let someone else's story ruin that for you... or them! Ok... I guess that's enough of my babbling. I hope these were helpful, gentle reminders to get you back to your scrapbook table. 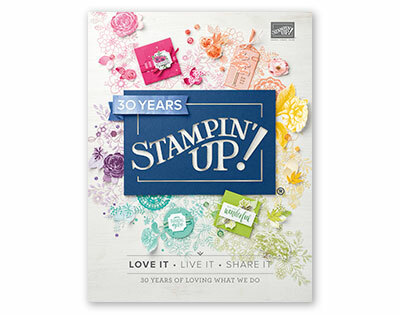 Just to see if this is something you like to read on the old blog-o, leave me a comment below and I will enter you to win some scrapping goodies from Stampin' Up (Don't worry you'll be able to use them even if you don't scrapbook). Tell me what you like, don't like -- other tips you may need... Maybe I'll come back with a part 2! Jen, I think your tips were great. Journal writing was the best. When I first started scrapping writing things on my pages was hard but twenty albums later, when I go back and look I'm so happy I forced myself to write. You can't care what someone else will think, it's about what you want to remember when you go looking back next month or next year. My advice....Write!!! Maybe one of these days I'll actually do some scrapbooking along with making cards....then again, I might wait until after the first of the year. Thanks for your tips. I'm hoping I get a chance to see/visit with you before I start scrapbooking!! Just a thought! 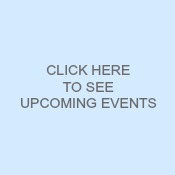 Cool new Social Media Product!